It’s noodle mania that has caught on and spread throughout the earth like wild fire! What is it about a simple bowl of noodles that evokes such passion, or inspires such loyal gastronomic devotion as do the Ramen and the Udon. 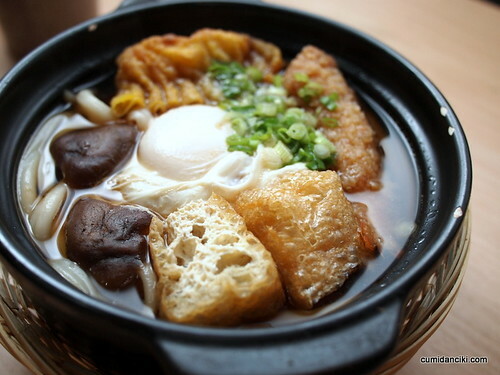 At a glance, it looks like such a simple, humble meal – a bowl of noodles in broth with toppings. However, sometimes the simplest things are the best and often the hardest to perfect. 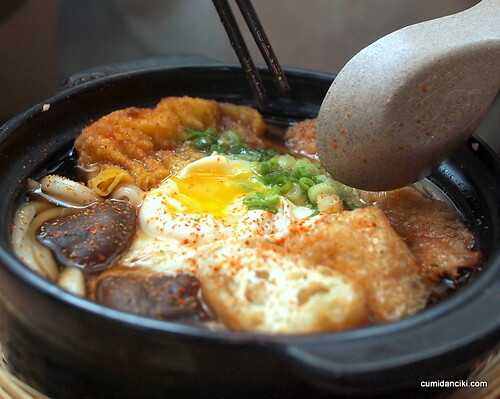 Take for example a hot bowl of udon. Do we know what went into making these long strands of chewy noodles? Do we know how long it takes to cook it just right so that it is does not come out mushy or too soft that it is unpalatable? Here at Marufuku, I love the Udon because the wheat-flour noodles that they use are noted for their strong body and smooth texture. As this is the sister restaurant to Sanuki Udon, they make the noodles starting from scratch at Sanuki and send it over to Marufuku. 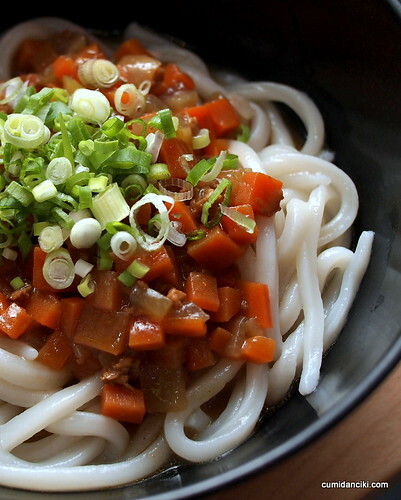 The basic way of eating Udon is simply to pour a kelp-based soup seasoned with light soy sauce over the noodles. Spring onion, leeks, ginger, egg or sesame seeds can be added if desired. 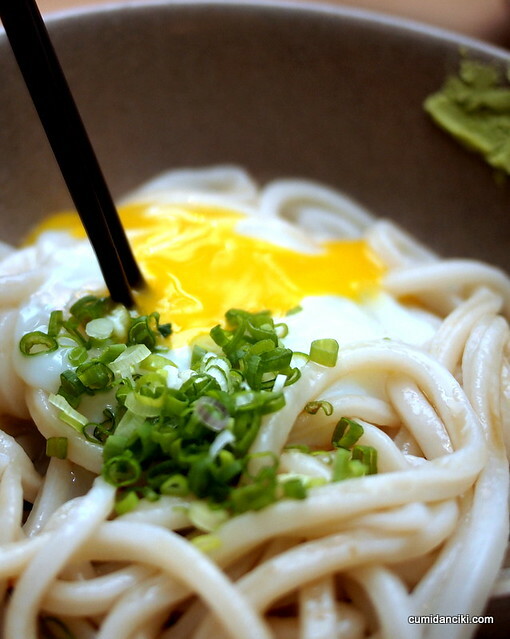 The thing that I am addicted to most is the cold udon – the House Special Udon. Simple, uncluttered – totally hits the spot. I like it cold because it means that the udon will be more chewy than if it were served hot. breaking fast by breaking the yolk.. There are many varieties of toppings, including seafood or vegetable tempura, or even a meaty curry sauce, so you can enjoy various combinations with your udon. 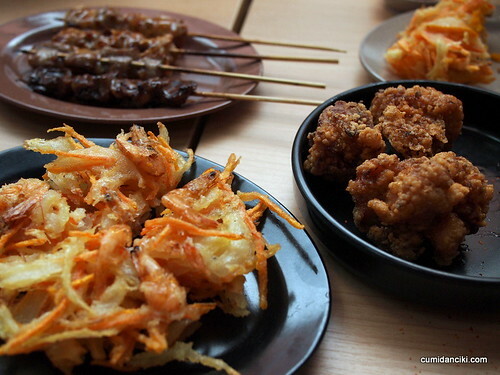 An extensive selection of Yakitori – skewered BBQed meats, Karaage -also known as Tatsutaage, the Japanese fried chicken and Kakiage ebi to feast upon. 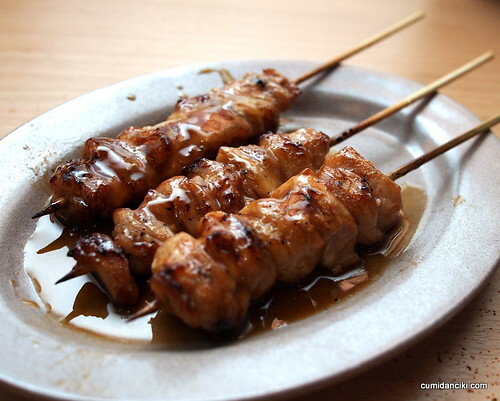 Yakitori at RM2-3 per stick. What a deal! Dinner with @kennymah , CK and @ladyironchef upon his arrival in KL. Jaya 1 at the back of Frontera.. ! RIGHT AT THE BACK! Mmmmm. The runny yolk looks luscious…. 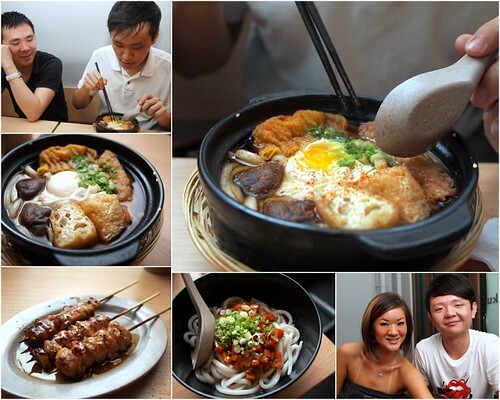 when oh when well we dine in Singapore?! ROFLMAO, I am sure you could. You eat like a horse. yeah, and they have vegetarian, so that’s good for you! Oh i love your opening shot! It’s so gorgeous. To die for. Love that first photo of the egg on noodles, my favorite way to eat pasta. the noodles are from the same place darling. This time I have to say My favorit picture is the one of you at the corner. Looks so cute like a sticker picture. I love Undo.. and the soup warms you up in a cold chilly days now. I read many wonderful reviews about this restaurant. I’ll have to wait till I visit Malaysia soon. Lets hook up for lunch or dinner when I’m down? I’m drooling now! We have are still at Jaya One but move to unit 65-G, Block D, Palm Square. Same row with Maxwell and Postcode.